An Automated External Defibrillator, as defined by Saunder’s Miller-Keane Encyclopedia and Dictionary of Medicine is a portable defibrillator designed to be automated such that it can be automated and used by persons without substantial medical training in order to respond to a cardiac emergency. Through defibrillating, a dose of electric current will be delivered to the heart. This changed the electric charge distribution in the cardiac muscles ending the abnormality in cardiac activity. In the Philippines, the EMS professionals such as an Emergency Medical Technician are well-trained with the use of defibrillators. In fact, there is a movement that is being implemented in order to provide training on the use of AEDs to the general public. The data from the Philippine Heart Association (PHA) shows that approximately 50 percent of deaths due to cardiovascular diseases happened as sudden cardiac arrest and most were witnessed by a family member. Therefore, the movement was initiated in order to counteract the incidence of deaths from these sources. In fact, 80 percent of the cardiac arrests happen outside of the hospital where no medical practitioner is available. 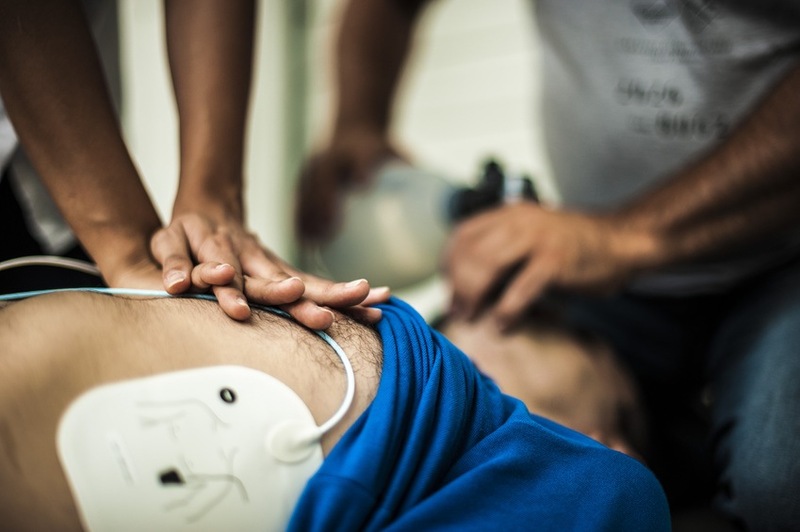 Further, since the knowledge on the use of automated external defibrillators and cardio pulmonary resuscitations (CPR) could assist on trimming down the number of deaths caused by cardiac arrests, the training of lay people has been considered. The education and creation of awareness is seen to increase the chance of survival for victims of cardiac arrests. The EMS professionals are providing skill training to employees and even to the students enrolled in secondary and primary level. This initiative is hoped to increase the chance of survival amongst cardiac arrest victims in the future, especially with the aid of the automated external defibrillators. In other countries such as in the United States of America, automated external defibrillators have been seen in large public areas including corporate office buildings, villages, schools, shopping malls and airports. In the Philippines, however, although trainings and information dissemination regarding automated external defibrillators exists, the main problem that comes together with the pros of the activity is the lack of automated external defibrillators available in public places. The Philippine government has suggested that an automated external defibrillator should be made available on public environments such as inside the shopping malls, parks and playgrounds, public area and even in government offices. However, this directive is not being followed in most places. The trained population may face crisis with these occurrence – that although they were sufficiently and efficiently trained, they need devices such as an AED in order to succeed in saving lives. The use of automated external defibrillators is a leap and important progress to capably save the victims of sudden cardiac arrests. The country has already taken a vital step to recognize the need to provide proper training. In the near future, it is the country is optimistic that the access to such devices will follow. Miller-Keane Encyclopedia and Dictionary of Medicine, Nursing, and Allied Health, Seventh Edition by Saunders, 2003.